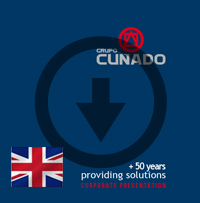 Grupo Cuñado started its business in 1963, enjoying more than 50 years experience behind us. Our headquarter is located in Alcalá de Henares (Madrid), Spain. Jointly with Portugal, the Group has more than 265,000 m2 (2.8 million ft2 ) indoor space distributed over 18 warehouses, offices and 1 valve factory. All of them work as operational centres to provide an integral logistics service. The Group consists of specialized companies that supply pipes, valves, fittings and miscellaneous items, for industries such as: chemicals and petrochemicals, oil and gas, nuclear power plants, metallurgical industry, iron and steel, shipbuilding, combined-cycle and renewable energy power plants, paper and food industry, water treatment plants, gas processing plants, etc. Our scope of activity ranges from supplying full piping packages to provide added value services, such as our Integral Supply. Moreover, it is an internationally oriented organisation, with commercial presence in 5 continents and more than 30 countries, having succesfully executed projects worldwide. Our presence extends with branches in 16 countries: Germany, Bolivia, Canada, Chile, China, Colombia, UAE, USA, Mexico, Poland, Portugal, Peru, Czech Republic, Turkey and Venezuela. Since it was founded, the Group has striven to meet the highest standards demanded by customers, as well as by national and international institutions. Chasing this goal, our Quality Department is formed by professional experts who, independently from the commercial organisation, are in charge of guaranteeing the QUALITY of the products delivered. Our technicians work hard to evaluate and homologate manufacturers and mills, monitoring fabrication, shipments and material stocking. We verify testing and MTCs, controlling each material supplied to our customers. 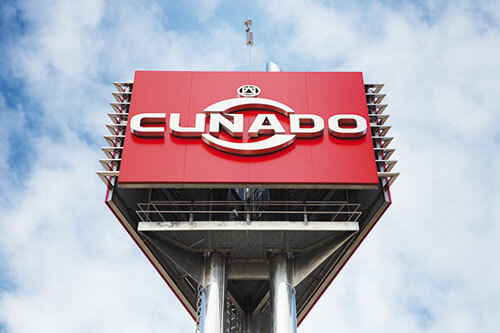 Grupo Cuñado is proudly certified according to ISO 9001 and ISO 14001. Click here to display our Quality Policy, and click here to display our Environmental Policy.